By Cathy Nichols – For many people, the process of “change” can be difficult. And this is especially true for financial advisors who are thinking about switching firms or models. Surely, those who feel well-served by the status quo should stay put. But what of the advisors who believe that their business and clients may be better served elsewhere, yet allow others (such as a partner or even an assistant) to trap them in a situation that may be less than ideal? By Mindy Diamond – The first days back to work at the beginning of a new year are busy for everyone, for sure. Yet I’ve learned that it’s an important starting point for us all—the perfect “excuse” to hit the reset button on every aspect of our lives, both personally and professionally. By Mindy Diamond – Each year, we take a step back to reflect on the year that’s nearing a close—and consider how events and trends will shape the coming year. For advisors, 2018 was about adapting to what had become the new abnormal: A time of disruption and change in which resilience and flexibility became the guiding principles of success. 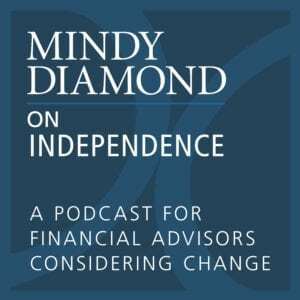 By Mindy Diamond – Most wirehouse advisors consider themselves fiduciaries. That is, in practice, they make every attempt to put clients first and make all decisions with their best interests in mind. But in reality, while the advisor’s mindset and heart may be in the right place, the very nature of working for a brokerage firm makes it impossible to be a true fiduciary. By Deborah Aronson – There’s a battle for control taking place between big brokerage firms and the advisors who work for them—a battle that advisors are losing more of as each year goes by. Deferred compensation often serves as the firms’ ammunition – a way to control behavior and keep advisors in their seats – in an attempt to stave off attrition. The firms count on an advisor’s reluctance to make a move and leave money on the table. And with retention deals falling off and free agency status growing closer, it’s no surprise that wirehouse advisors have found more of their income being deferred—whether it be a percentage of their payout or for bonuses earned. Is another move worth the risk? 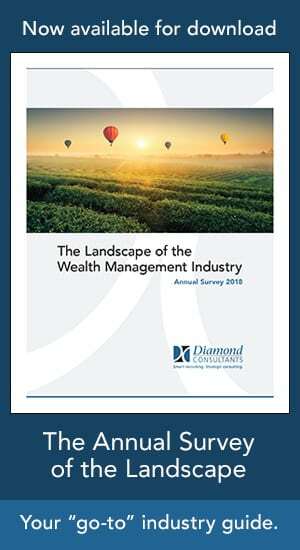 By Mindy Diamond – For most advisors, the thought of making a move is met with both excitement and a certain level of trepidation. The promise of being able to better serve your clients and grow your business provides the energy needed to juggle all the moving parts that come with such a major change—with concerns over client portability at the top of that list. But, if client relationships are strong and the move is being made for all the right reasons, clients are very likely to follow. Once the dust has settled, advisors and their clients are typically happy with the decision and life goes on. By Wendy Leung – Succession planning has become a hot topic, driven by an aging advisor population and the anticipated wave of retirements coming in the next decade. Planning for one’s next chapter is the best way to ensure the legacy an advisor has worked so hard to build can continue well into the future. By Mindy Diamond – It’s those things that happen when you least expect it. I was leaving a local diner after a nice dinner with friends, and the floor came right out from under me. As I landed, I instinctively reached down, breaking my fall – and my wrist – in the process. By Mindy Diamond – Sadly, it’s a scenario that plays out quite often: A top-notch team meets with the hiring manager at a firm that has all the markings of a good fit: A culture and vision they could align with, great technology and a client-focused value proposition. The team describes their needs and goals in detail, and outlines their financial expectations. The manager nods in agreement. He’s enthusiastic about the team and gets them excited about the firm’s culture and how much better their professional lives would be if they joined.